A few days ago, a Missouri jury handed down a $15,000,000 verdict to the family of a girl who was born with a myriad of birth defects, chiefly spina bifida, after her mother was prescribed Depakote during her pregnancy. The lawsuit against AbbVie, the drug’s manufacturer, alleged that the company failed to adequately warn pregnant mothers about the high risk of birth defects associated with the drug. That same jury has now ordered AbbVie to pay another $23,000,000 to the family in punitive damages. The first phase of deliberations determined if AbbVie was indeed responsible for the girl’s health conditions. The jury was persuaded to the tune of $15,000,000 in compensatory and non-economic damages. This second stage of deliberations tasked the jurors with determining if AbbVie recklessly endangered the lives of unborn children by neglecting to warn pregnant mothers about the serious health risks that Depakote posed. The jury found that they did indeed recklessly endanger children, which is always a good reason for punitive damages. This award came after deliberations for a trial that involved a 12 year-old girl who was born with spina bifida. The verdict specifically took into account AbbVie’s reckless actions involving marketing of Depakote. The $23,000,000 punitive damage award will be tacked onto the original award of $15,000,000, meaning AbbVie’s liability for this case alone will be as high as $38,000,000. Of course, this is not the only Depakote lawsuit floating around the civil justice system right now. There are hundreds of lawsuits against AbbVie putting forth similar allegations that hat they failed to warn pregnant mothers about the risks of birth defects from Depakote. This verdict will not affect the other cases directly, of course.but there is real power in this verdict. It should make AbbVie more willing to dole out more cash in settlement negotiations knowing that each case could cost them upwards of $40,000,000 at trial. Is that hyperbole? Yes. will the plaintiff get that much in this case? Probably not. But jurors have spoken loud and clearly and AbbVie, a new company trying to build a reputation that is also mired in the low-t therapy litigation, will have to listen. Depakote has been approved by the FDA since 1978 as a drug to treat epilepsy, reducing the frequency of convulsions and seizures. It has had a rather troubled history though, first receiving a Black Box warning alerting patients and doctors of potential birth defects such as spina bifida, cleft palate, malformed limbs, abnormal skull development, and heart and urinary tract problems. The FDA became more concerned about these side-effects, issuing warnings while Abbott still continued to peddle the drug. Depakote was making some serious coin for Abbott; as much as $1.5 Billion per year. But claims were consistently rolling in against the corporation, including a federal investigation that determined AbbVie misled patients and used the drug off-label. As a result, the federal government actually required AbbVie to pay $1.5 Billion in fines to settle various criminal and civil matters. That did not stop AbbVie though, even when studies from 2010 and 2011 confirmed that there was a clear correlation between birth defects and Depakote use. Considering how obvious this correlation has become, this will not be the last time that AbbVie is forced to write a big check for Depakote. 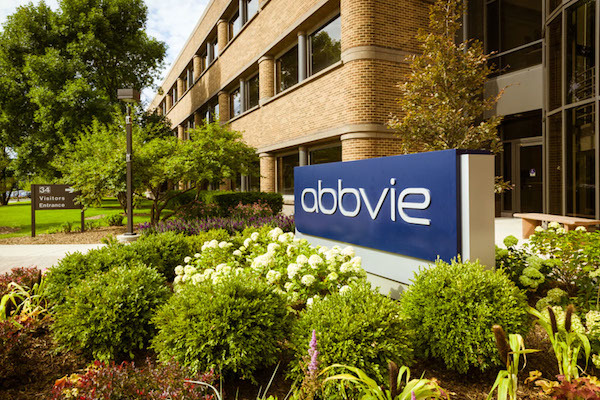 But now that other plaintiffs have a big punitive damage award to point to, they can really hold AbbVie’s feet to the fire during settlement negotiations. If you believe you might have a Depakote claim, call me today at 800-553-8082 or get a free online consultation.